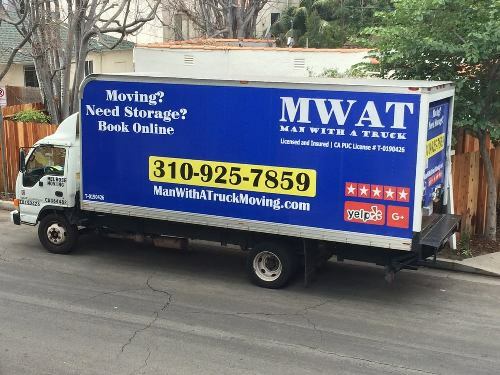 The Man with a Truck Moving Company is a locally owned and operated moving company holding expertise in making each of its client’s move successful and hassle-free with the help of its full fledge moving services. The company truly cares about all your valuable and strives to move them with extra care and responsibility, ensuring no damage during the move. Be it residential, commercial and local or long distance, the company’s movers are capable of performing every type of move irrespective of their size and location. No matter how far or near you have to move, or how huge or small your move is, these professional movers will handle everything by themselves and are committed to providing a best and affordable move to their customers. All their movers are highly efficient and trained in handling all your belongings carefully so to offer you all an exceptional and professional moving experience. Other than providing these efficient services, they will also guide you at every step while planning your move according to your choices and budget. With the above-mentioned services, the company is eligible enough to move your houses and offices’ items to your new and desired location in a far better and professional way. The Man with a Truck Moving company is the moving company of professionals who are dedicated to offering you a successful and easy moving. The company got established in 2006 and since then it is determined in making each of its client’s mover hassle-free and memorable. And, later in 2015, the company was acquired by Los Angeles Melrose Movers after which it grew up to be stronger and more efficient in making moves successful and accomplished right on time. With all the efforts and hard work, today it is known to be the most trustworthy and dependable moving company of the town with enormously good moving services. Mark B. serves as the proud manager of such a successful and popular moving company and is one of the men behind the idea of offering stupendous moving services to the customers at such low and fair rates, so to order them a wonderful experience of moving.